Bentley University appears in our ranking of the Top 10 Master’s in Financial Planning Online Degree Programs. In Adamian Center, the Accountancy Department led by Dr. William Reed confers a 122-credit B.S. in Accounting for Bentley University undergrads starting the CPA journey in four tracks: Cost Accounting, Financial Accounting, Internal Audit, or Financial Accounting. Chaired by Dr. Kartik Raman, the B.S. in Finance utilizes the Hughey Trading Room to teach portfolio construction skills in a 122-credit, AACSB-accredited plan. The Online Business Bachelor’s Completion option logs part-time associate cohorts into Blackboard for 16 eight-week courses like Managerial Accounting and Global Finance Strategy. Since 2017, the McCallum Graduate School has awarded a 39-credit, 18-month Accelerated Online MBA with eight concentrations, including Finance, for $96,000 median earnings. Ranked 28th by Eduniversal, the M.S. in Accounting currently immerses 108 post-grads in a 30-credit curriculum for Massachusetts’s most Certified Public Accountants. The 30-credit MS in Finance offers a STEM-approved Quantitative track for 100 percent job placement at Liberty Mutual, Eastern Bank, Disney, Visa, and more. New England’s largest MS in Taxation also admits average cohorts of 32 for 10 online courses like Intellectual Properties and Acquisitions. Bentley University originated in 1917 when former Boston University professor Harry C. Bentley opened the School of Accounting and Finance on Huntington Avenue for an all-male class of 30. However, the advent of World War I caused 162 women to enroll by 1919. The next year, Bentley expanded into Boston’s six-story Boylston Building on the National Register of Historic Places. Incorporated in July 1948, it transformed into Bentley College in 1961 with four-year degree authority. Between 1965 and 1968, Bentley constructed the current 103-acre Upper Campus in Waltham just 11 miles from Boston. In 1973, the Graduate School was named for Elkin B. McCallum with a Master of Science in Accounting. The Center for Business Ethics was also formed by Professor W. Michael Hoffman in 1976. Given university status in 2008, Bentley launched a Master of Business Administration in 2010. Budgeting $241 million, Bentley University now has 276 full-time faculty teaching 5,602 Falcons from nearly 100 nations. The U.S. News & World Report ranked Bentley the North’s third-best college, third most innovative school, and seventh top value with the 28th best online business program nationally. On Niche, Bentley boasts America’s eighth-best accounting classes, 100th top private education, and 154th hardest academics. Bloomberg BusinessWeek declared Bentley the 10th top undergrad college. In 2019, Bentley University was crowned the Princeton Review’s #1 for career services. Forbes placed Bentley 124th overall for the 61st best Northeast degrees. College Factual deemed Bentley the 39th best accounting choice and 53rd most popular finance program. Financial Times picked Bentley University for the 40th best M.S. in Finance worldwide. The Aspen Institute positioned Bentley 58th on its Global 100 list. Money magazine also named Bentley 85th with a $598,000 20-year ROI. In November 2013, the New England Association of Schools and Colleges (NEASC) Commission on Institutions of Higher Education (CIHE) took action to reaffirm the Level V accreditation status for Bentley University through Spring 2022 under its 8th president, Dr. Alison Davis-Blake, a BYU Distinguished Alumni Award recipient. Based 13 miles northeast via Route 62 in Burlington, this six-state New England accreditor is authorized by the U.S. Secretary of Education to determine the instructional quality of Bentley’s 25 baccalaureate, nine master’s, two doctoral, and six certificate options, including Fraud and Forensic Accountancy. Bentley faces its next Continuous Improvement Review from the Association to Advance Collegiate Schools of Business (AACSB) in April 2020. The McCallum Graduate School was also accredited by the elite European Quality Improvement System (EQUIS) in June 2008. Admission data at Bentley University shows just 3,915 of the 8,867 Fall 2017 applicants were successful for 44 percent acceptance that earns Peterson’s “very difficult” rating. First-year Falcons flying toward the B.S. in Accounting or Finance must have elected a competitive college-prep curriculum with four units in English and Mathematics, including Pre-Calc. For consideration, freshmen need a minimum 2.5 GPA, though the median is 3.66. On average, undergrads present a 1300 SAT and 28 ACT score. The test-optional Online Business Bachelor’s Completion Program is reserved for transfers who’ve culminated 60 A.A./A.S. credits. Non-native English speakers still need a 577 TOEFL or 7.0 IELTS mark though. The McCallum Graduate School requires a four-year bachelor’s curricula that fulfills prerequisites. For instance, the MBA mandates credits in Statistics, Economics, Marketing, and Accounting. Admitted post-grads boast a mean 3.4 GPA and 621 GMAT score. Taking this 3.5-hour exam isn’t necessary for students with 5+ years of relevant experience. Bentley University set first-year deadlines of November 15th for Early Decision and January 7th for Regular Decision. Domestic and international transfers apply until November 1st for Spring or April 1st for Fall. The McCallum Graduate School of Business considers Fall cohorts from September 1st to November 1st for Early Action or March 15th for Regular Decision. M.S. in Finance and Accounting entrants also meet the October 1st priority deadline for Spring. Submit the Common Application or Bentley Graduate Application with the $75 one-time fee online. Arrange for official transcript mailings to 175 Forest Street in Waltham, MA 02452. Test score reports need digital codes like 3096 for the SAT and 1783 for the ACT. Other checklist boxes include the résumé, two recommendation letters, college essay, online interview, and certification of finances form. Please request more instructions at (781) 891-2000 or ugadmission@bentley.edu. 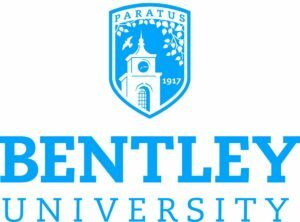 For 2018-19, Bentley University is billing full-time B.S. in Accounting and Finance majors $24,090 per term or $48,180 annually. Undergrads pay a $1,310 technology fee, $390 activity fee, and $1,826 insurance premium. Summer Session courses fall to $4,818 apiece. Living at the Middlesex County campus’ dorms like Slade Hall adds $8,240 to $14,740 each year. Super Value meal plans for LaCava Center cost $6,420. Bentley budgets $1,290 for textbooks and $1,220 for personal supplies. Annual bachelor’s attendance equals around $68,960 in-state and $52,640 at home. Online Degree Completion students are charged just $2,265 per course. MBA cohorts pay $4,620 per course or $60,060 total. The M.S. in Accounting, M.S. in Finance, and M.S. in Taxation all cost $4,620 per course for $46,200 overall. According to the NCES College Navigator, the Office of Financial Assistance in Rauch Hall disburses $74.86 million yearly for 65 percent of full-time Bentley Falcons to get median aid of $27,354. Business funds include the Briggs Scholarship, Skaletsky Family Scholarship, Leon Sullivan Scholarship, W. Michael Hoffman Scholarship, Phi Theta Kappa Scholarship, Global Social Responsibility Scholarship, and Earle & Sloan Travel Fellowship. The Women’s Leadership Program gifts female freshmen $10,000 each year with development training. Ten $5,000 veterans’ awards are presented via the Yellow Ribbon Program. Bentley partners with the National Black MBA Association to give two qualified members 100 percent tuition waivers. Filing FAFSA applications coded 002124 begins the Federal Pell and FSEOG Grant process. On-campus student employment rates are currently $11 to $13.25/hour. The Massachusetts Department of Higher Education awards the MASS Grant, Foster Child Grant, Part-Time Grant, and One Family Scholarship too. Continue reading about Bentley University at the McCallum Graduate School of Business website.